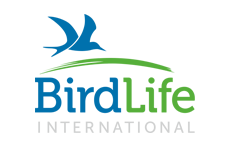 Welcome to DOPA Explorer, the Joint Research Centre’s web based information system on the world's protected areas, which helps the European Commission and other users to assess the state of and the pressure on protected areas at multiple scales. Using global reference datasets, the DOPA supports monitoring and reporting through a broad range of consistent and comparable indicators at country, ecoregion and protected area level. These indicators are particularly relevant for Aichi Biodiversity Target 11 (Protected Areas) of the Convention on Biological Diversity, and the UN Sustainable Development Goals 14 (Life below Water) and 15 (Life on Land). DOPA Explorer 3.1 provides simple means to explore and compare protected areas, with regard to their species and ecosystems, and the pressures they are exposed to through human development. 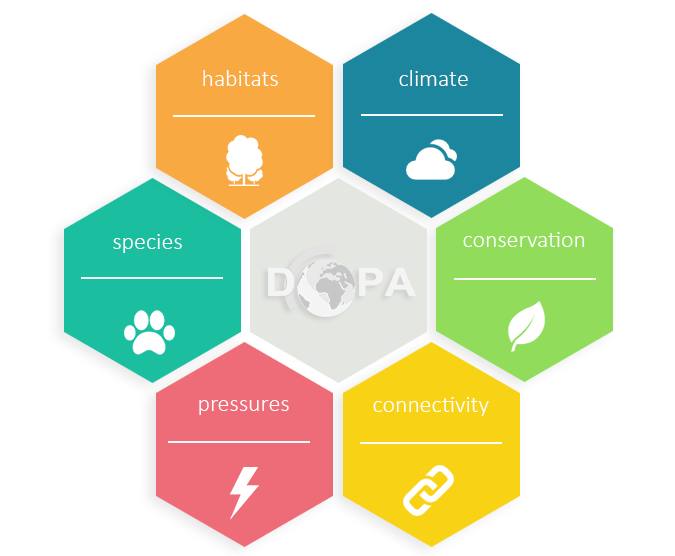 DOPA Explorer 3.1 is a web-based assessment tool where information on nearly 30,000 protected areas (all protected areas ≥ 25 km2, covering more than 95% of the global protected surface) has been processed automatically to generate a set of indicators on ecosystems, climate, species and pressures. Protected Areas: Unless indicated otherwise (see figure captions), the boundaries of the protected areas used here are coming from UNEP-WCMC and IUCN (2018), Protected Planet: The World Database on Protected Areas (WDPA) [On-line], [July/2018] , Cambridge, UK: UNEP-WCMC and IUCN. Available at: www.protectedplanet.net. Protected Planet®, underpinned by the WDPA, is a joint product of UN Environment and IUCN, managed by UNEP-WCMC and IUCN working with governments, communities and collaborating partners. Requirements: DOPA Explorer 3.1 is optimized for Mozilla Firefox and Google Chrome. Funding: The development and maintenance of the DOPA are supported mainly by the institutional activities of the Directorate for Sustainable Resources at the Joint Research Centre of the European Commission as well as by the Biodiversity and Protected Areas Management (BIOPAMA) programme, an initiative of the African, Caribbean and Pacific (ACP) Group of States financed by the European Development Fund (EDF) of the European Union. Acknowledgements: We acknowledge the essential contribution of all data providers and, in particular, the support provided by the UN Environment World Conservation Monitoring Centre, the International Union for Conservation of Nature, BirdLife International and the Global Biodiversity Information Facility . 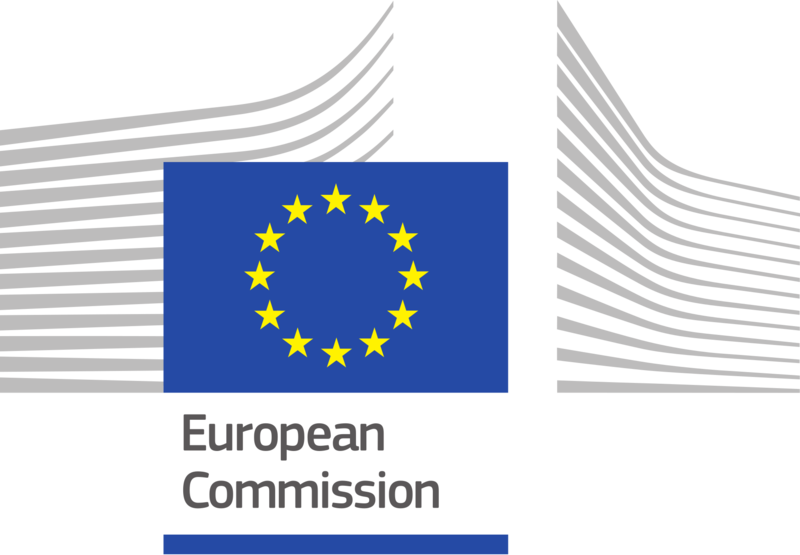 We are also grateful to Peter Vogt (JRC), Valerio Avitabile (JRC), Begoña de la Fuente Martín (Universidad Politécnica de Madrid) and Javier Martinez-Lopez (Universidad de Murcia) for their kind contributions to the processing and development of a few indicators. Our work would also not be possible without the IT support provided by Stefano Venturini, Christian Zanardi, Carlo Landi, Monica Merlotti and Luca Marletta. 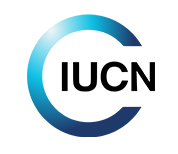 You will find hereunder the links to detailed factsheets documenting DOPA Explorer and its main indicators as well to the underlying data sources. We have also made available an Excel workbook that is including most of the results presented in the DOPA Explorer.